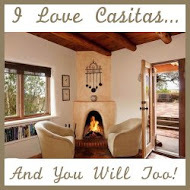 I’m so happy to share Two Casitas with you! A wonderful lady named Wendy is dedicated to making your stay in Santa Fe an absolute dream. 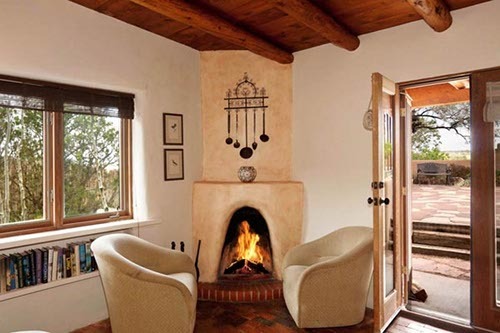 Let her Santa Fe casitas surround you with the beauty, the comfort, and the warmth of New Mexican hospitality. Casita is Spanish for ”Little House”. 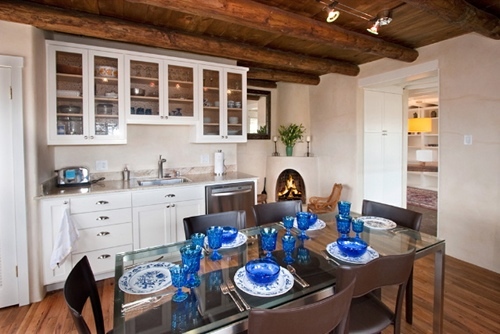 These Santa Fe vacation rentals give you all the comforts of home with stylish New Mexican flair. Each casita is different and unique. Not many vacation rentals in Santa Fe give you the option of a studio, a one-bedroom, a two-bedroom, or a three-bedroom accommodation. Wendy recommends a cozy studio for your romantic getaway and her grand luxury homes are large enough to accommodate your wedding, party or family reunion functions. Why Do I Love Renting Casitas? I'm what you would call a "slow traveler". My husband and I like to take our time and really immerse ourselves in our travel destination. We like to eat where the locals eat, shop where the locals shop, and be a part of the local scene. I love the "homey" feel of casitas. It's so much more relaxing and inviting than a hotel room. Now, don't get me wrong, hotels are great for service and amenities. There are loads of lovely, graciously appointed hotels that are absolutely wonderful to stay in. But, we're talking unique vacation rentals in Santa Fe. Staying in Santa Fe casitas leaves us feeling like we've come "home" at the end of the day. We enjoy getting into a routine and being able to make a pot of coffee or a meal like we would at home. My favorite passtime is curling up on the couch with a good book while my hubby watches tv after a day of being on our feet sightseeing. We choose casitas when we visit Santa Fe in order to have this comfortable end to our days. If this type of travel is appealing to you, well, then you must try Two Casitas. Wendy and her designers maximize the classic architecture and beautiful adobe styles familiar to Santa Fe. Two Casitas promises you an authentic Southwestern experience and invites you to explore the confluence of Native American and Spanish cultures. And let me tell you, they definitely deliver! 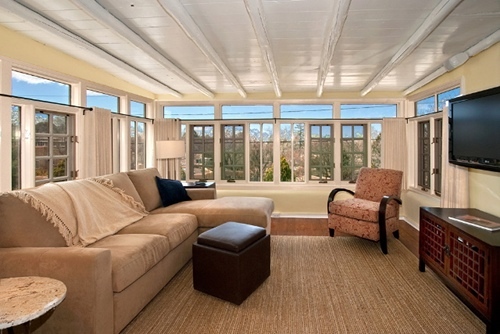 These Santa Fe vacation rentals are carefully decorated to capture the beauty of Santa Fe’s history. The décor features historic design themes, local materials and artisans, and of course, every comfort we know and love in our own homes. The pictures say it all. Two Casitas offers you the choice between century-old historic homes and modern Santa Fe style homes with a couple styles in-between. My friend Bunny had a fun, relaxing (I was going to say amazing, but I didn't. Read her story to see why.) stay in the "Luna" house. There. I said it. These are truly the most unique way to stay in Santa Fe. We were inspired and amazed at the level of comfort and the attention to detail we found in them. Each home is situated in one of Santa Fe’s most popular neighborhoods, down tranquil streets, and nestled among local residences. 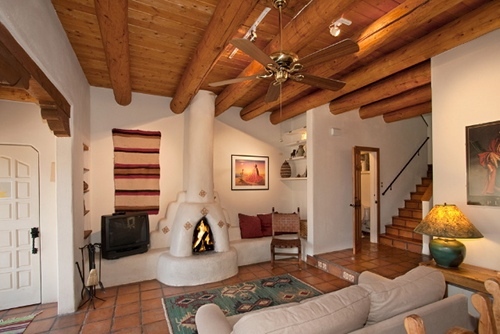 You really get the feel of living in the city by staying in one of these Santa Fe vacation rentals. Due to your close proximity to the city center, a short walk takes you to The Plaza (the town center and historic landmark). Or go instead to Canyon Road’s famous art galleries and noted dining establishments. Though a bit further away, you can also head down to the newly modernized Rail Yard, complete with dining and shopping galore. In fact, if you're visiting, these are some of my favorite things to do in Santa Fe! 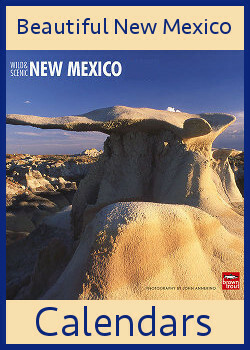 Why Visit Santa Fe? Santa Fe is known as a destination that appeals to art lovers, foodies, and adventurers alike. Submerge yourself in the local culture, the award-winning cuisine, and the breathtaking vistas. Enjoy fine dining that rivals well-known New York City establishments, shopping in quaint stores and enjoying the artwork of both recognized and up-and-coming artists. Visit one of the many museums on Museum Hill and discover Santa Fe’s rich heritage and history. Ready To Book Your Casita? I know you are! 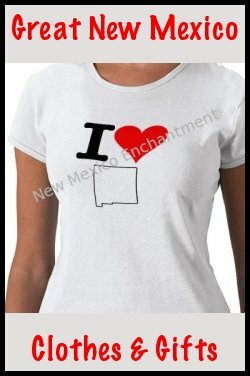 Simply contact Wendy directly and let her know Lynn from New Mexico Enchantment sent you. She is happy to answer your questions and help you with your travel plans. I know the level of service she gives her guests and trust me when I say she knows the meaning of customer service. Enjoy your trip! I know you'll make wonderful memories in whichever casita you choose.